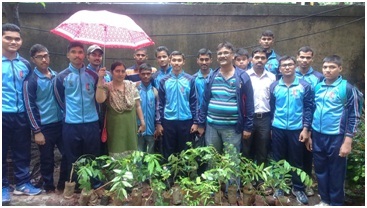 On July 2, 2016, the Patkar College NCC Unit and Municipal High School, Goregaon (W), jointly conducted a plantation drive titled 'Greening of Maharashtra', in the Municipal High School Campus. The A.N.O. of Patkar College NCC Unit, Maj. (Dr.) R. R. Wagh, and the Head Mistress of the School, Mrs. Bharati Yamgar, were present on the occasion. 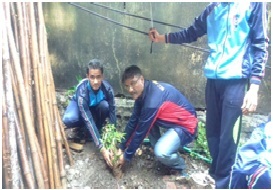 Twenty saplings of Neem, Babhul, Gulmohar, Sitafal, Ranbabu, Nilgiri, and Subabhul were planted by the NCC cadets.